Premier Malaysian developer SP Setia picked up a prestigious accolade from Singapore Property Award 2017 for its Eco Sanctuary project, which was awarded in the “Sustainable Development” category. 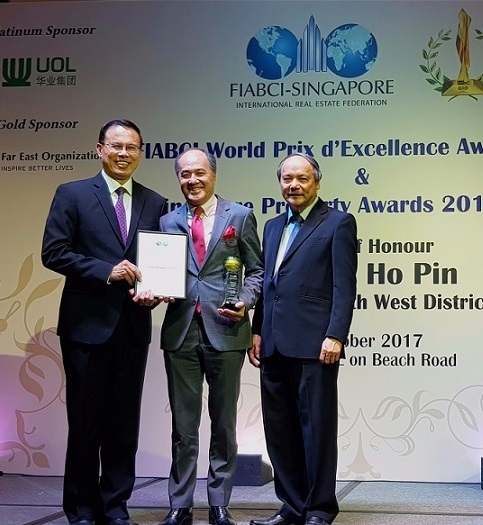 Held last week, the Singapore Property Award 2017 is organised by FIABCI Singapore, the local chapter of the renowned international real estate federation. Eco Sanctuary’s win was particularly noteworthy because it is only SP Setia second development in Singapore. The project is a 24-storey condominium located along Chestnut Avenue, offering residents a much sought-after panoramic view of Singapore’s largest nature reserve. Inspired by nature, its designs emulate the ecology of its lush surroundings. Its biomimicry architecture has led to a striking building façade, one that is not only outstanding in appearance, but also creates a solar passive home for all to enjoy. Inspired by nature, Eco Sanctuary’s design emulates the ecology of its lush surroundings. According to SP Setia, a sustainable design philosophy was instrumental in Eco Sanctuary’s architectural design, building orientation as well as the choice construction materials used. All apartments enjoy minimum heat gain with maximum day-lighting and wind circulation. Extensive water features such as swimming pools and bio-ponds help to keep the development cool in the day, while individual apartments are fitted with energy and water efficient appliances and fittings. Other green features include rainwater harvesting, drip irrigation and wide range motion sensors. These features have meet with stringent requirements of sustainability construction, which SP Setia said paved the way for Eco Sanctuary being awarded the Green Mark Platinum by the Building and Construction Authority – the highest accolade for sustainable developments. Wong (middle) flanked by North West District mayor Dr Teo Ho Pin(left) and FIABCI Singapore president Dr Lim Lan Yuan (right). Boasting resort facilities, Eco Sanctuary offers sky terraces, a sky bridge,gymnasium, tennis court, swimming pools, clubhouse and alfresco decks. The sky terraces of each tower offer the residents gourmet dining rooms, cocktail bars and massage spas for private parties. 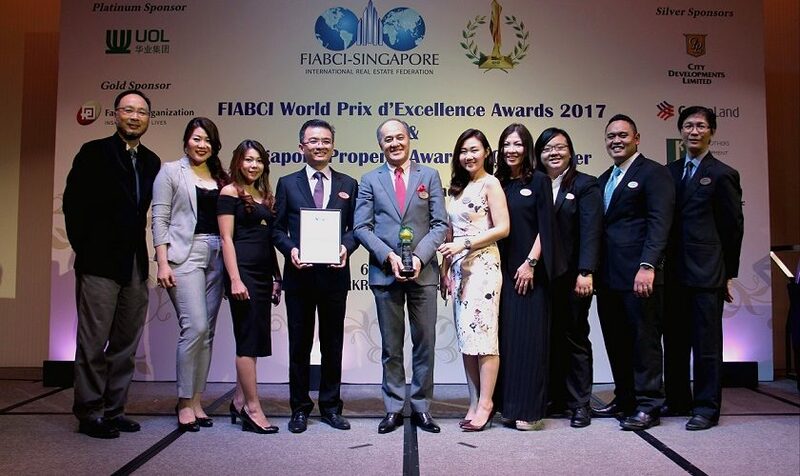 “As we continue to pursue our vision, ‘To Be The Best In All We Do’, we are delighted to receive this recognition for our development in Singapore and will continue to deliver on our promises and offer the best value, quality and innovative features to cater to the discerning property buyers here,” Wong added. Some of the categories that SP Setia has won in include Best Master Plan Development, Best Purpose-Built/Specialised Project, Best Retail Development as well as another Sustainable Development award for its Corporate HQ in Setia Alam. The Group is recognised as one of Malaysia’s leading listed real estate players with a portfolio that encompasses townships, eco-sanctuaries, luxury enclaves, high-rise residences, commercial and retail developments. 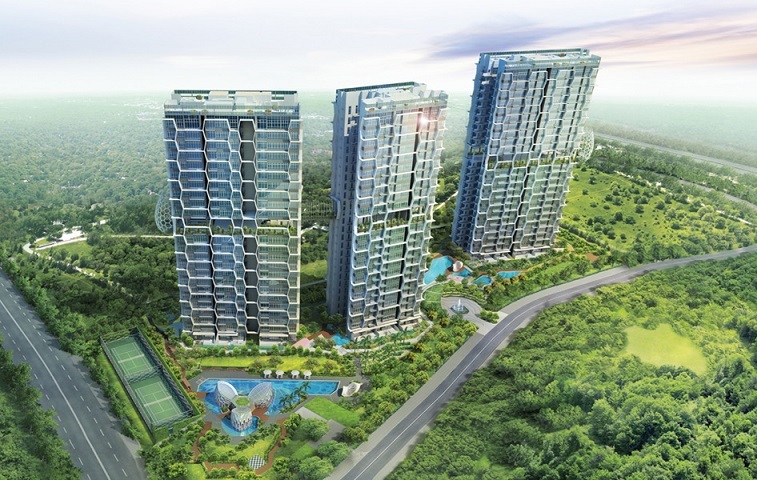 S P Setia is the only Malaysian developer to have received seven FIABCI Prix d’Excellence Awards by the International Real Estate Federation (FIABCI) and nine FIABCI Malaysia Property Awards. The company is also growing as an international brand, with its reach now expanded to Vietnam, Australia, Singapore, China and the United Kingdom. As of 30 June 2017, the Group has 31 ongoing projects, with an effective remaining land banks of 5,452 acres valued at a Gross Development Value of RM80 billion and total unbilled sales of RM8 billion.